Augmented reality (AR) enables us to use smart devices to experience superimposed content within our surrounding environments. 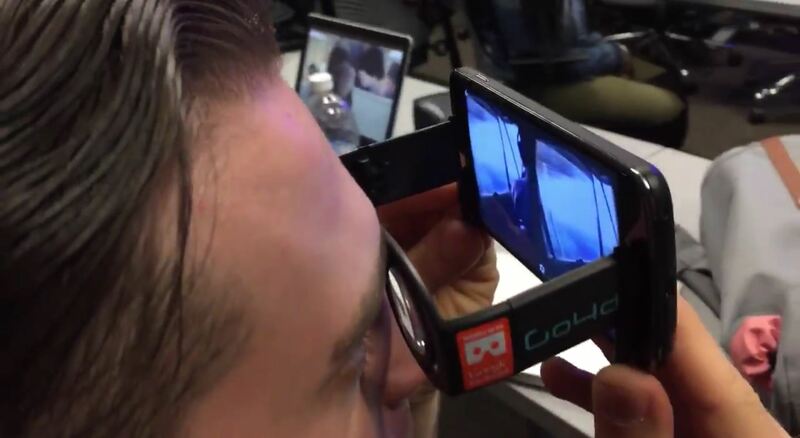 A common way of experiencing this involves holding up a mobile phone and seeing content layered on top of the camera view. AR content can be tagged to a specific location, object, or image. Virtual reality (VR), on the other hand, enables us to put on goggles or a viewer to be fully immersed into a digital experience. Both AR and VR are growing in user base and adoption by industry and academia. 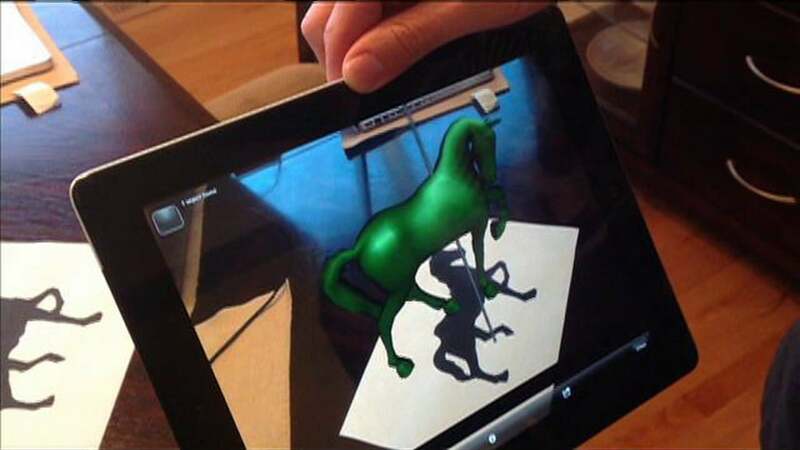 According to Statista, there were 60 million users of mobile augmented reality in 2013. This number is projected to more than triple by 2018. The NMC Horizon Report: 2016 Higher Education Edition projects the time to adoption of augmented and virtual reality in higher education environments to be two to three years. Recently, I have been working with a collaborative team of design researchers in the Michael Graves College at Kean University and museum professionals on a series of projects involving the use of AR/VR technologies to improve accessibility and enrich experiences within Liberty Hall Museum. Grab a sneak peek of a testing session with AR-enabled posters, which we designed for the current Toys Through Time exhibition at the museum. Augmented Asbury Park is an ongoing project that I have been working on with Professor Mike Richison and Dr. Marina Vujnovic of Monmouth University, which involves using two different kinds of AR. Augmented Asbury Park is a free mobile experience involving the reconstructions of key historic landmarks in augmented reality on the Asbury Park boardwalk in New Jersey and off-site. Many challenges arose during the creation of the content, the delivery of the content to the public, and the longevity of the project. Here is a short video showing the geo-locational experience of the project. With growing popularity in design and UX, AR/VR is on its way to proliferate in the tech industry. News publishers like the New York Times are supporting immersive virtual reality experiences through Google Cardboard; and Microsoft is opening orders for the development edition of the HoloLens. On Friday, April 15, I will share my experiences in creating AR/VR experiences for mobile, as well as feedback that we collected from some of these experiences. Join me in this conversation from 11AM to Noon PST. Ed’s slide deck from this presentation can be viewed here.